The end of the year is slowly approaching which means one thing; the silly season is on its way. The only way to end an arduous working year is with a bang, and Hidden City Secrets are here to help make that happen. Whether you want to treat your employees to say “thanks for a great year”, charm some clients to keep relationships flowing or just have a huge celebration because you have worked darn hard and deserve a wine (or 10), we have come up with the most impressive function venues for your end of year celebrations that won’t fail to impress. To ensure you maintain a 100% staff retention rate (and maybe receive a ‘Best Boss’ medal), don’t just head down to the local pub for a parma and some beers this year, surprise the accounts office with a statement their actually going to enjoy! 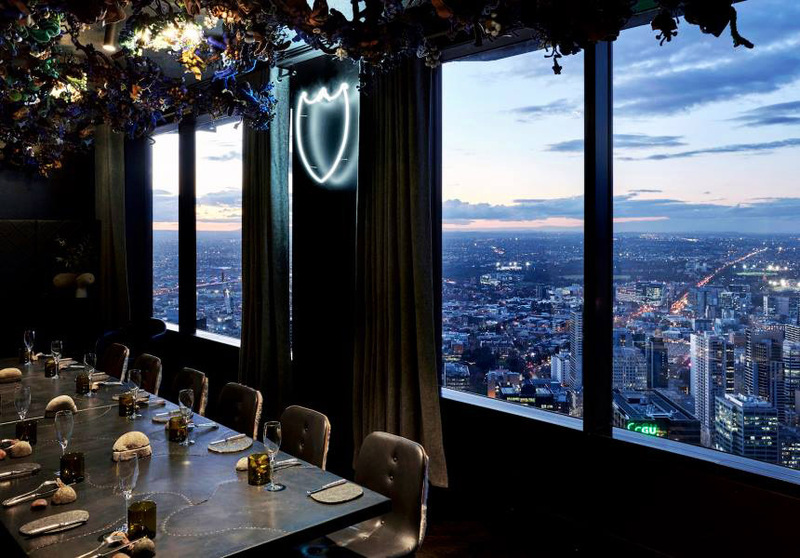 If you haven’t heard of Vue de monde then firstly, are you even from Melbourne? Secondly, brace yourselves because you’re about to be wowed. 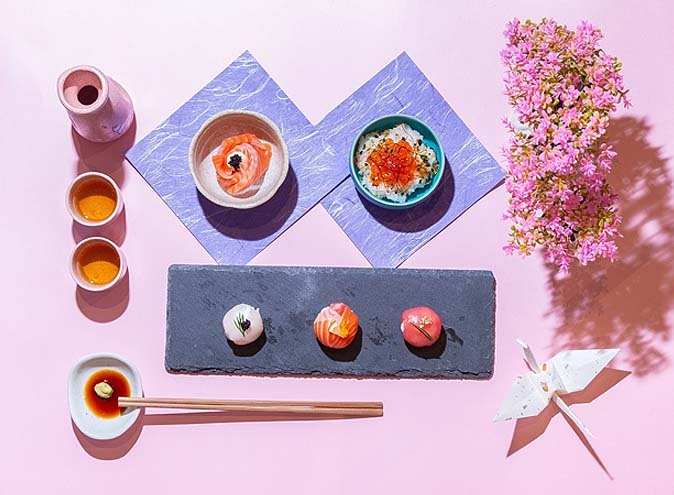 Located on the 55th floor of Melbourne’s iconic Rialto Tower, Vue de monde is one of the most sophisticated and exquisite dining experiences you will find. 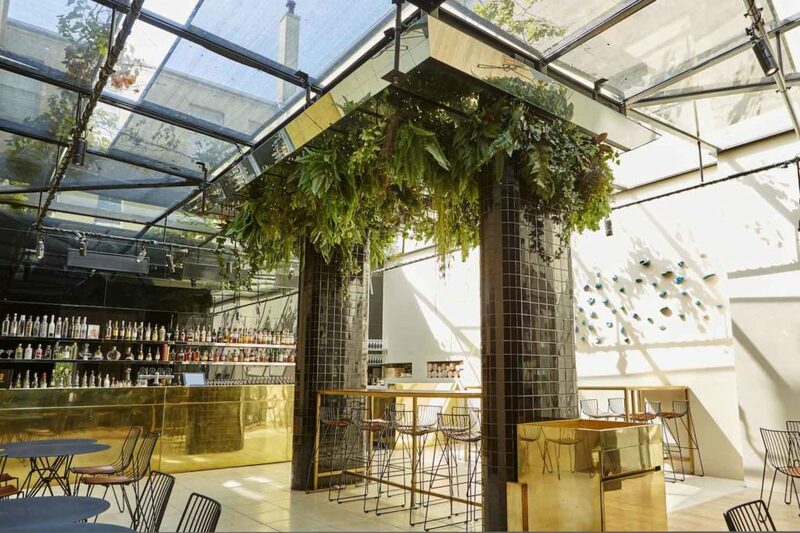 This dedicated dining space will take you the distance, boasting views across the Yarra River to beyond Port Phillip Bay, complimented by tailored menus and degustation’s to suit every event, from sit-down dinners to cocktail parties. If you you’re not already sold, I don’t suppose you’ve heard about the recently unveiled world-first Don Perignon Illuminator in the tower lobby? What is this you ask? If you haven’t googled it already, listen up and listen carefully. The Illuminator is a top of the range vending machine which dispenses a bottle of chilled 2006 Dom Perignon. Mindblown? Ours was. The only way of activating this crazy, yet genius invention is by purchasing a Dom Perignon branded bronze token from Lui Bar however, any event booked from now until January receives a token to do with as they please, whether you award your best employee, gift your favorite client or keep it for your own consumption – it’s Vue de monde’s way of saying thank you… “Willy Wonker” style. As summer is slowly approaching, what better way to finish the year than a day full of sunshine, culture and Mexican delight, all of which can be found at Motel Baja. 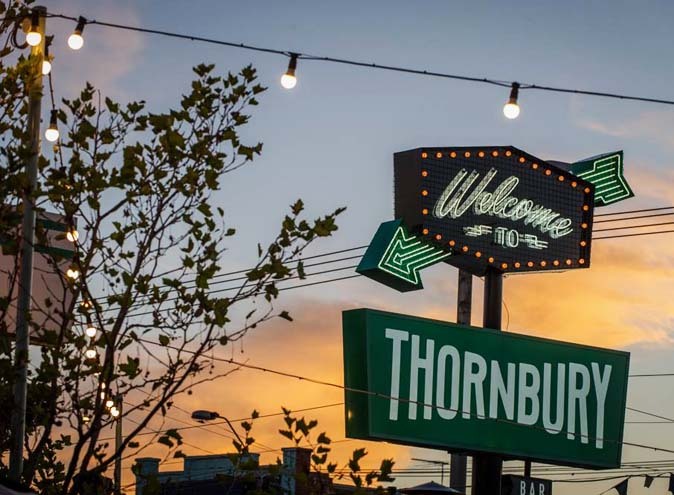 The iconic Immigration Museum’s courtyard is just a stone’s throw away from Flinders Street providing an easy location for your clients and employees to get to, and (responsibly) stumble home from after a night of dancing and fine foods. With enough space to mingle among your colleagues whilst surrounded by piñatas and cacti – and with the capacity to fit up to 1000 people, you could be the host of one hell of a party! 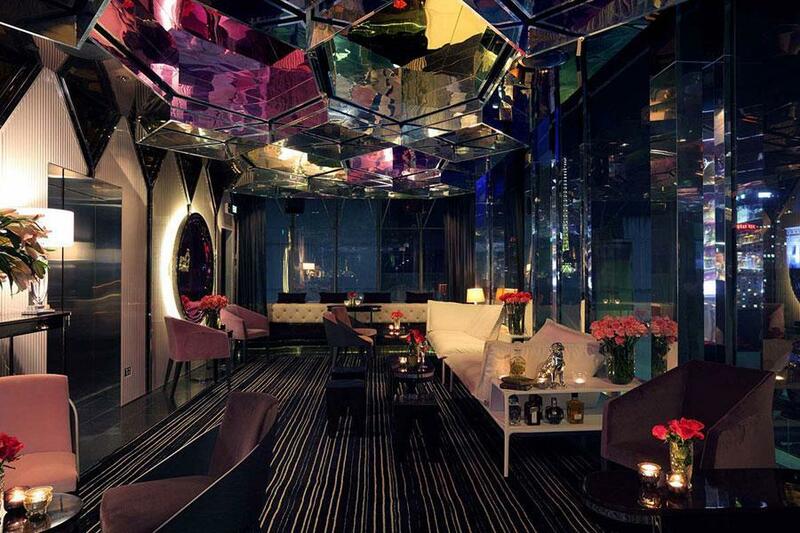 If your motto is work hard, play harder then Bond is the place for your next soirée. This unique space doesn’t even need to work hard to look good. As soon as you walk in, the luxurious décor will take your breath away; along with the smell of delicious canapés and sensational cocktails. The state of the art lighting and sound system will keep your guests’ senses alive throughout the evening. With plenty of private booths, intimate corners and VIP areas, there is no better place to celebrate the end of work and let your hair down. Bond can cater for events of 50 – 550 guests every day of the week meaning you can choose when the end of year begins. 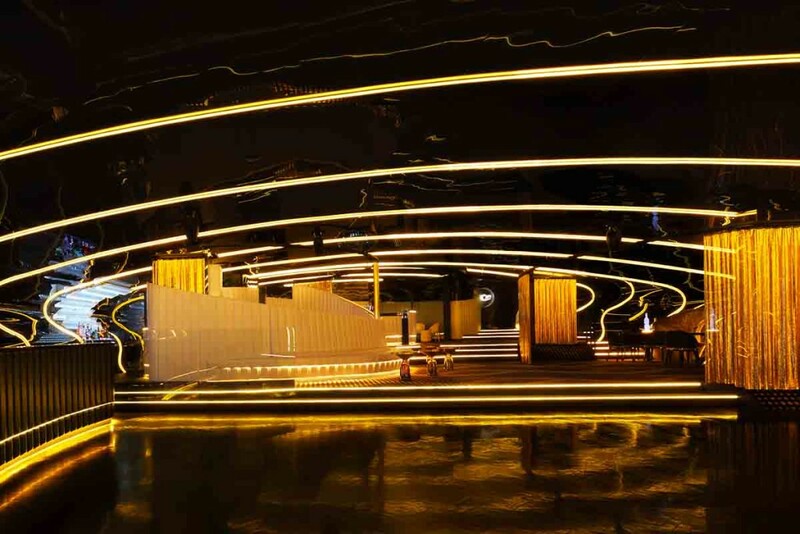 Your colleagues will leave charmed, spoiled and all partied out after a night at Bond. 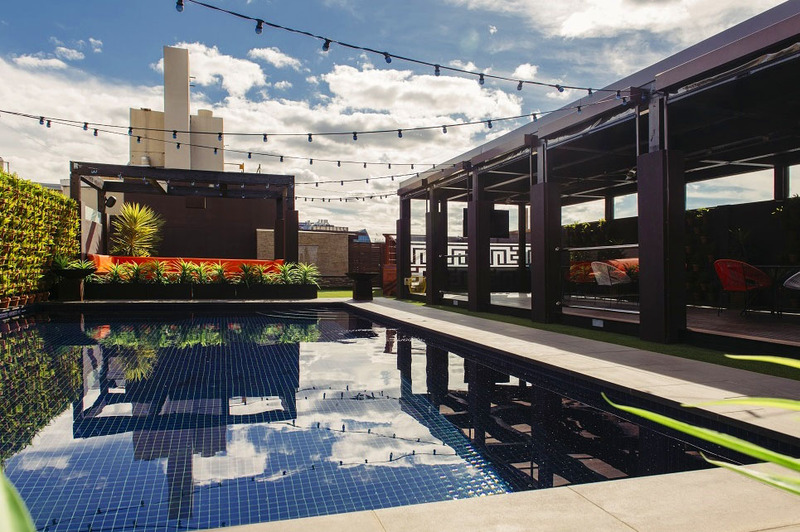 A party in the peak of summer by the pool side is everyone’s dream Hollywood moment, particularly after a hard year of graft… Well, Rydges on Swanston can make all your fantasies come true with their Rooftop Poolside Terrace, accommodating function of 40 – 400 people. The team at Rydges will assist you in making your event everything you have ever dreamed off. Whether it’s a Christmas party, a special occasion or just a reason to have THE party of year, Pooldeck have various packages to suit your needs. We can assure you, a party here will be the talk of the office until the following year. Did we mention, the pool already? 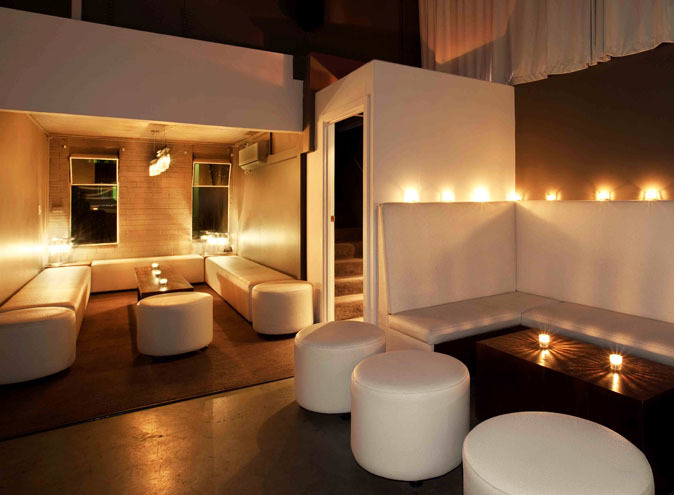 Located just outside of the hustle and bustle of the city, Dream Factory offers the perfect space for an end of year bash. Offering a choice of 4 levels, the opportunities are endless at this unique venue. 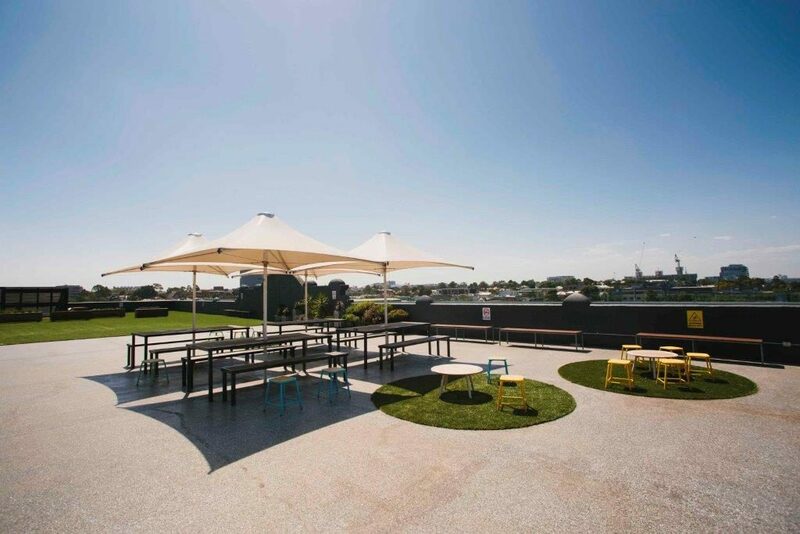 The rooftop is perfect for a summer’s day function and can accommodate up to 400 guests, the gallery is a more personable space and can fit 120 of your favourite people, and lastly, now this is the big one, there is the basement which can hold a whopping 3000 people! 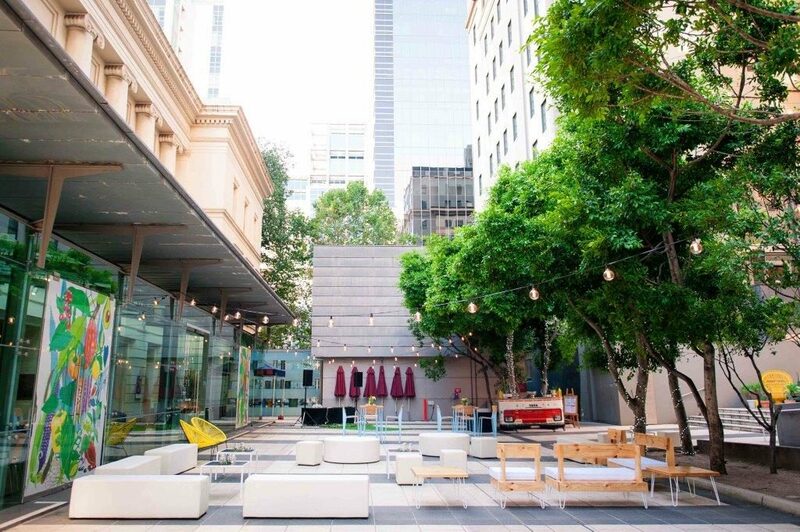 Dream Factory pride themselves on simplicity; the blank canvas is perfect if you want to personalize the venue and make your dreams come true. What better way to celebrate the end of the year than looking out on the city we have all grown to love. Mon Bijou is located amongst the clouds at the top of the Adelphi Hotel. The penthouse offers a huge space to socialize and drink in to the night while embracing the 270 degree views that will leave you and your guests speechless. The two levels can accommodate for everyone’s needs, including a covered outdoor area and exclusive private room for the VIPs. Treat your clients to a night of glamour in this luxurious venue; but please, make sure they are not afraid of heights first! 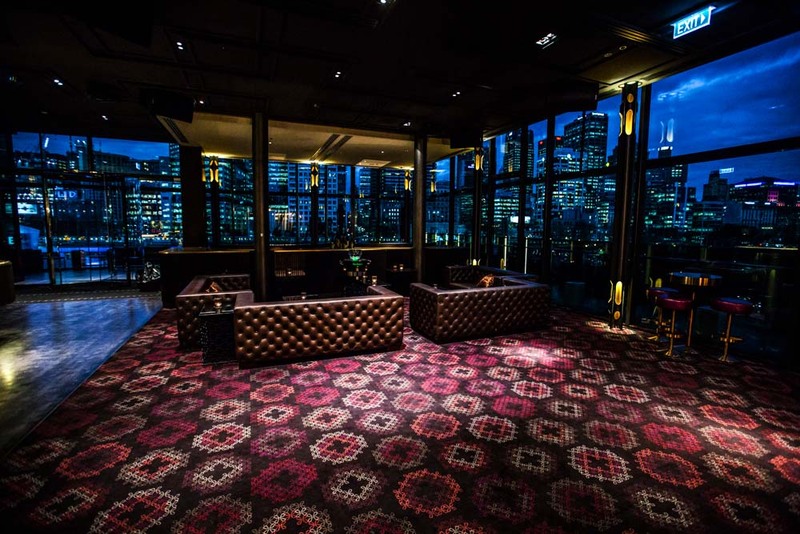 Club 23 provides everything you want for a glamorous party with all the extras such as sky high views, attentive service, sensational entertainment and a vibing atmosphere. Offering a selection of lounges, private suites and VIP booths, it has everything to provide the “wow” factor for your night of nights. Located in the heart of the city, within the iconic Crown Towers, Club 23 is the ideal place to make up to 500 of your clients and colleagues feel like the most important people in the sky! 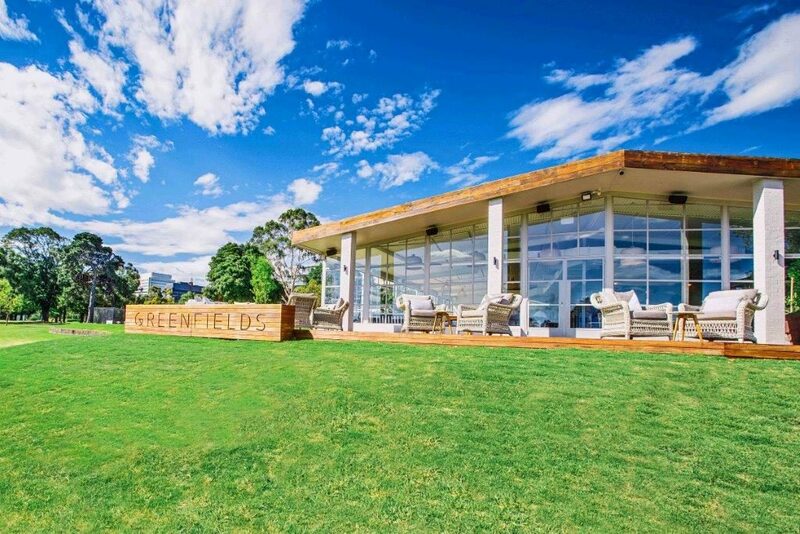 Greenfields offers something for everyone in this lush venue located in the heart of Albert Park. 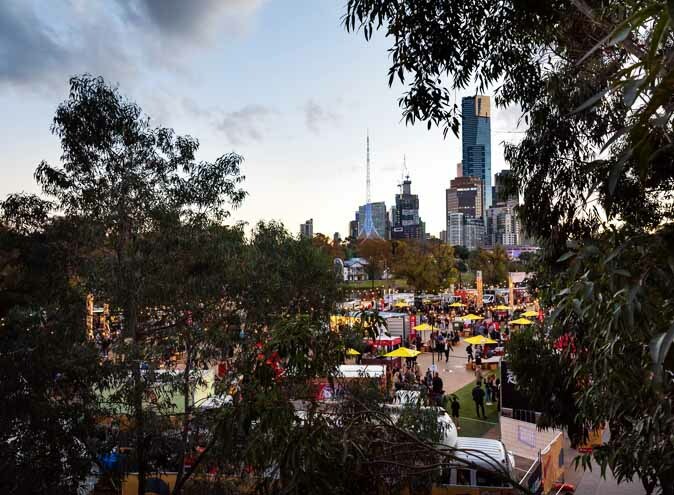 Close to the CBD and surrounding suburbs makes it easily accessible, and the surrounding views of Albert Park Lake creates a Hampton-style feel which you wouldn’t get anywhere else this close to the city. The open plan layout creates an environment where guests can relax, enjoy the sun and socialize without any interruptions. This is the perfect location for a more low-key yet totally impressive end of year party where guests will leave feeling a sense of serenity – important before starting the New Year. If you are looking for a venue where the catering is second to none, then Circa is the place for you. The innovative menu and well-travelled wine list will leave a satisfying feeling for all to take home. Locally sourced ingredients go into the dishes, all of which have been executed by Australia’s most exquisite culinary talents. Want to go all out? Circa offers wine matching alongside all food packages and the head sommelier will assist you in ensuring your guests get the most out of the experience. Circa has 3 spaces to choose from – the atrium bar, private dining room and a balcony room – which means both small and large groups will be taken care of.